Does Scaling and Root Planing Hurt? When you have gum disease, you need treatment. Inflamed gum tissue allows harmful oral bacteria to sneak below the gum line, causing deep periodontal pockets. Within these pockets, bacteria multiply, causing significant damage to your jawbone, as well as the structures that support your teeth. One way that your dentist can treat your gum disease is through scaling and root planing. Many patients tend to worry about whether or not this procedure will hurt. 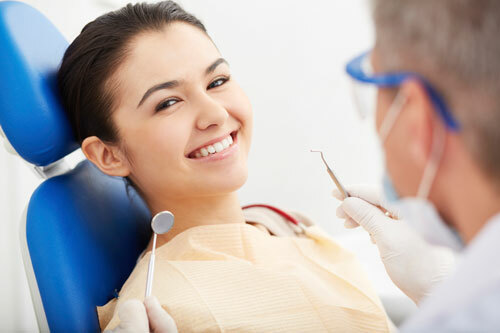 Scaling and root planing is a procedure that is done when you have gum disease to help your gums begin to heal. Scaling involves the use of a specialized tool to scrape tartar, plaque and bacteria from all surfaces of your teeth, including between them and under the gum line. Root planing involves smoothing the surfaces of your roots, removing plaque, bacteria and toxins. With a smooth root surface, bacteria can't adhere. When you have gum disease, your gums are irritated and inflamed. They may even be sensitive already. Poking at them with dental tools can often irritate the tissue further. Many dentists are now using an ultrasonic scaler, instead of the traditional, manual tool. Ultrasonic scalers are known to cause less tissue trauma than manual tools. If your gums are especially sensitive, your dentist can provide you with a local anesthetic, enabling you to feel nothing during the entire procedure. After your procedure, your gums are likely to experience sensitivity, and may be a bit sore. Your dentist will provide you with a set of instructions that can help you to deal with this discomfort. By following those instructions, that discomfort should pass quickly. And with regular brushing and flossing, your gums will heal quicker, returning to their original, healthy state. Scaling and root planing can help you to prevent the need for more invasive, expensive procedures in the future, such as Dental Implants. If you are worried about pain, ask your dentist about local anesthetics and the best ways to manage discomfort at home.